The following tutorial demonstrates how you can alter the height of the RadMenu while preserving all of the hover effects that are applied. Q: I want to increase the height of the RadMenu. 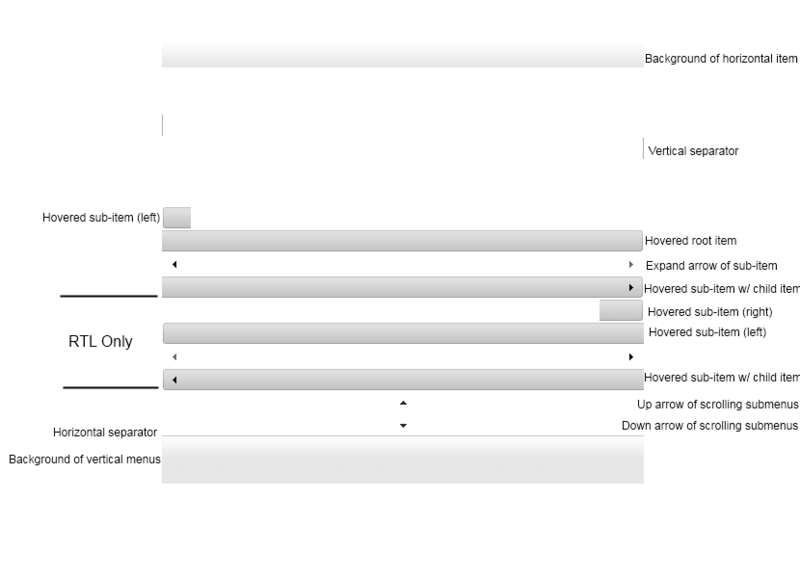 For example I need the root Items and the child Items to be 5px higher than their original state.How can I do that? A: One way would be to use our Visual Style Builder to create your customized skin. However, the limitations of this approach are that the nicely shaped rounded corners of the RadMenu control will be lost as well as the different effects that are usually applied when using a sprite image. 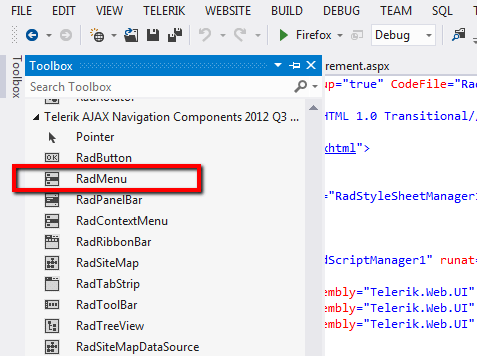 The second approach is when using some of the predefined Telerik skins. Since our skins are based on sprite images, in order to change the height one will need to change the whole sprite image of the control. Below is a full explanation of how this could be achieved and what the various elements of the RadMenu sprite are used for. 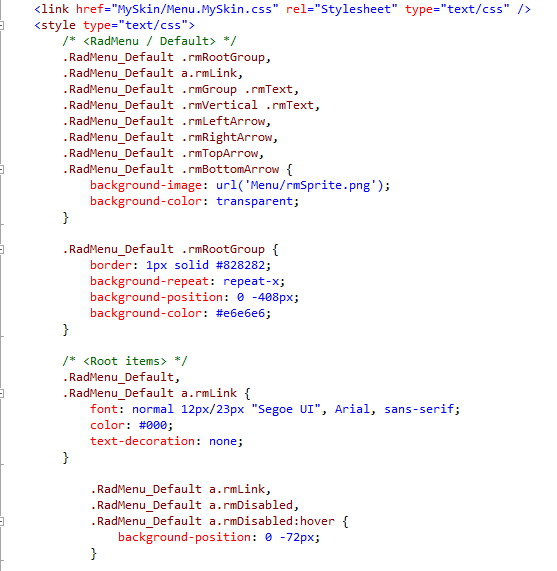 Drag and drop the Menu.MySkin.cssfile from the Solution Explorer onto your Web page. 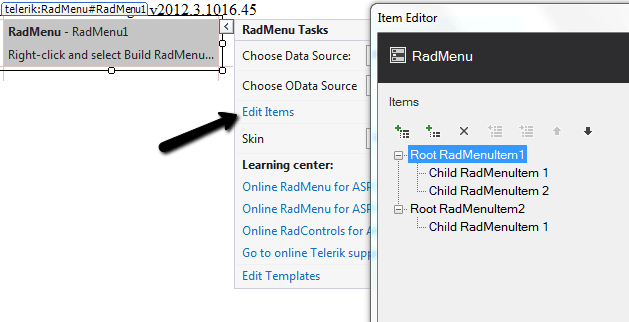 Open the Menu.Default.css and replace all of the RadMenu_ Default instances with RadMenu_MySkin and save the file. Now that we have an external skin of our own, we can start changing it to fit our needs. However, if you are not very experienced with Photoshop it might take a little longer than expected since you will need to alter many of the elements of the sprite image. To make things a bit clearer here is a descriptive sprite image that is used for the RadMenu control. In general all of the sprites for the RadMenu follow a very similar pattern therefore no matter which sprite image we will take the states will be very similar if not identical to the image below.